is going to be financed in the PRIN 2017 program. We will integrate experimental and ABM research. The PI is Davide Barrera. Flaminio Squazzoni (UniMi) is our partner from BEHAVE lab. And our excellent Giulia Andrighetto coordinates the LABSS unit. Giulia Andrighetto "doing amazing research in computational social science"
We already knew, but we’re happy to be reminded of it! What? Don’t you know that Giulia has been mentioned in the list of 39 women doing amazing research in computational social science? When cooperating, human groups can poise near a critical point – similarly to highly organized biological systems, like those of bees or ants – where recent work suggests living systems respond to changing external conditions in an efficient and coordinated manner. 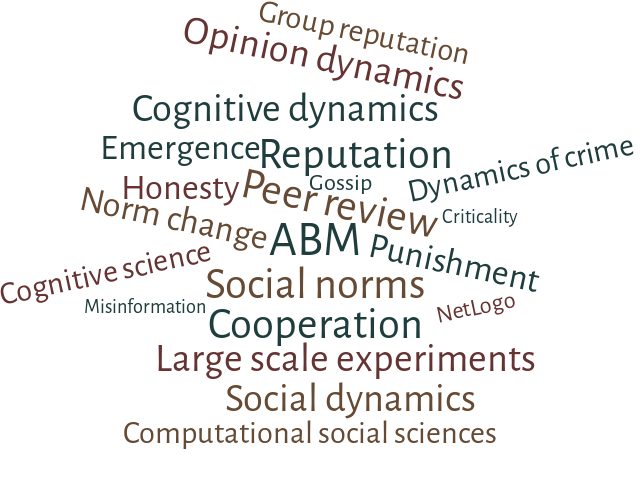 A new statistical physics model demonstrates the crucial role that social norms play in promoting cooperation and its stability. The study has been published in Physical Review E. and appears also as a CNR press release. 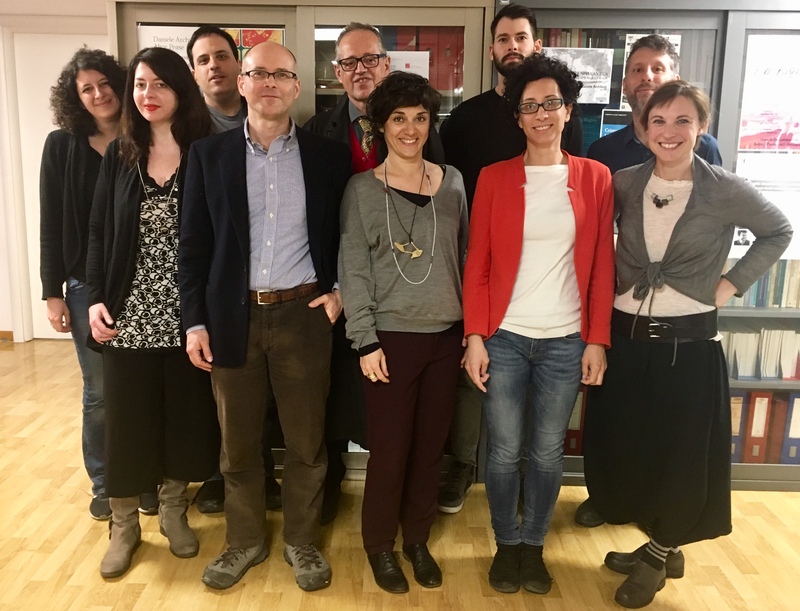 We’re glad to have been included in the list of laboratories hosting junior researchers organized by the European Social Simulation Association. 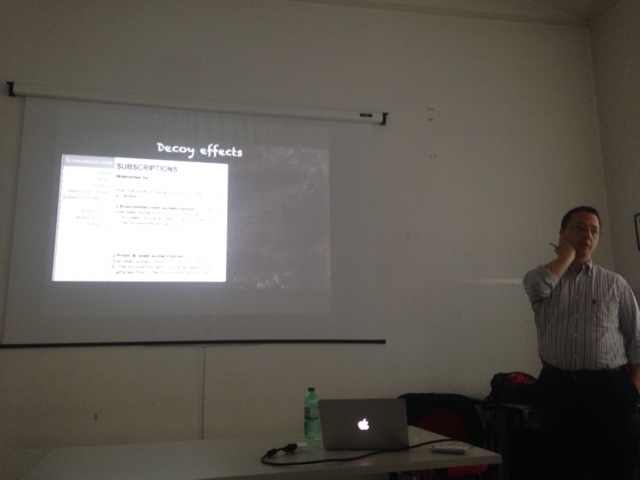 WIPS Seminar: Marco Marini & Fabio Paglieri present "Decoy effects in intertemporal and probabilistic choices: three experimental studies. " Marco Marini & Fabio Paglieri presenting "Decoy effects in intertemporal and probabilistic choices: three experimental studies." at the LABSS Work in Progress Seminar held on May 23rd 2018. We are seeking candidates for a one-year postdoc position (renewable up to 3 years) for agent-based modelling and simulation of social phenomena. 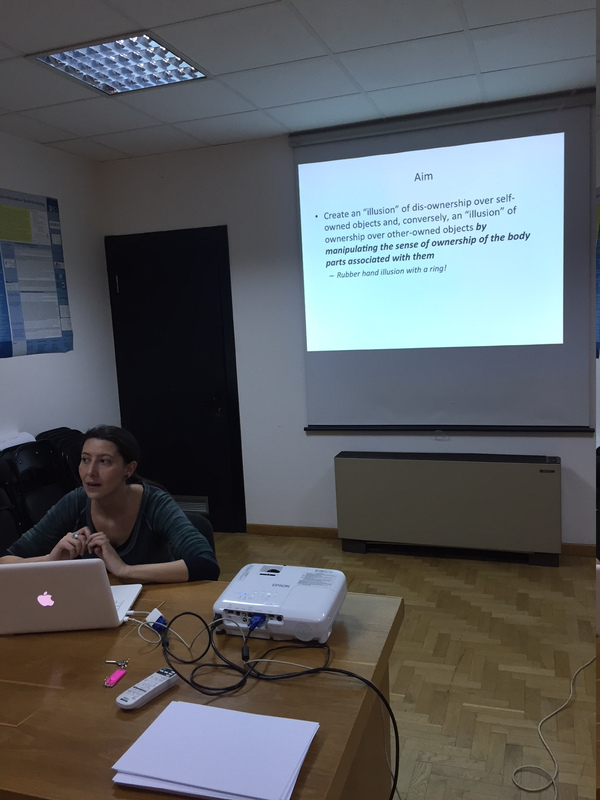 WIPS Seminar: Aurora De Bortoli Vizioli on "The extended bodily self and the embodiment of possessions"
Aurora De Bortoli Vizioli presenting the aim of her team’s study at the LABSS Work in Progress Seminar held on March 1st 2018. WIPS seminar: "The extended bodily self and the embodiment of possessions"
New “save the date” for the Work in Progress Seminars (WIPS) series, organized by the LABSS. On March 1st, Aurora De Bortoli Vizioli will be presenting an experimental study on the relation between body-ownership and object-ownership.